Often, great technical translations need great technical illustrations to do the translation justice. Here at The Translation People, we have over 15 years’ experience of producing superb technical illustrations to complement our translations and give your work added clarity and impact. Technical illustration is a specialist skill. It only makes sense that we use experienced practitioners who really understand their craft and can perfectly visualize the results you expect, and then deliver them. What’s more, using illustrators and translators from the same wider team is one more way we guarantee seamless project management and brilliant end results. Even in today’s technologically advanced world, it still takes real expertise to create the kind of illustrations that make product manuals easier to follow or ad major visual appeal to a glossy promotional document. Our technical illustration process is as thorough as you’d expect and involves frequent consultation to ensure you get exactly the final product you need. We will provide quotation and timescales and, where appropriate, we will also visit your site to see equipment or products for ourselves and take screenshots if necessary. Clients sometimes provide us with engineering drawings and 3D electronic files. 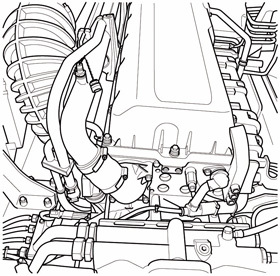 As always, flexibility is one of our strong points when it comes to technical illustration. Our services include everything from 2D exploded views through to 3D color cutaways in a variety of packages, such as Isodraw, Illustrator, Photoshop, Autocad, and Form Z. If you require technical illustration services, please contact us now.